This spring in Texas, all of our major cities have seen more than their share of flooding and this has left many wondering if they should purchase flood insurance. The fact is any of us could experience a flood, whether we live in a flood plain or not. According to FEMA, about 25% of flood damage claims are filed by policyholders in “Moderate to Low Risk” areas. 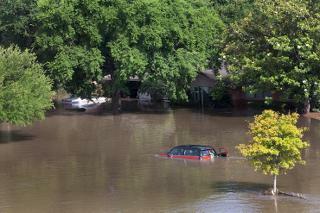 Flood losses are generally excluded from your homeowners insurance policy. A flood can not only damage your home and belongings, it can also severely impact your finances. Homes financed with a federally backed mortgage in a high-risk area are required to have flood insurance. Additionally, if you’ve received a federal grant for previous flood losses, you must have flood insurance to qualify for future aid. You can also buy a flood insurance policy to cover the contents of your home, such as furniture, collectibles, clothing, jewelry and artwork. Homes can be insured up to $250,000 and contents up to $100,000. Renters can insure belongings for up to $100,000. Policies generally take effect 30 days after purchase. The catch here is that your community needs to participate in the National Flood Insurance Program. To find out if your community participates, visit FEMA.gov. What about Federal Disaster Assistance? While this can be helpful, it is only available if the President formally declares a disaster. And if you do get disaster assistance, it’s not “free money.” Often it is a loan you have to repay, with interest. If your home is flooded and disaster assistance isn’t offered, then you will face the burden of clean up and repairs on your own. If you would like to find out more about the National Flood Insurance Program, visit FloodSmart.gov.